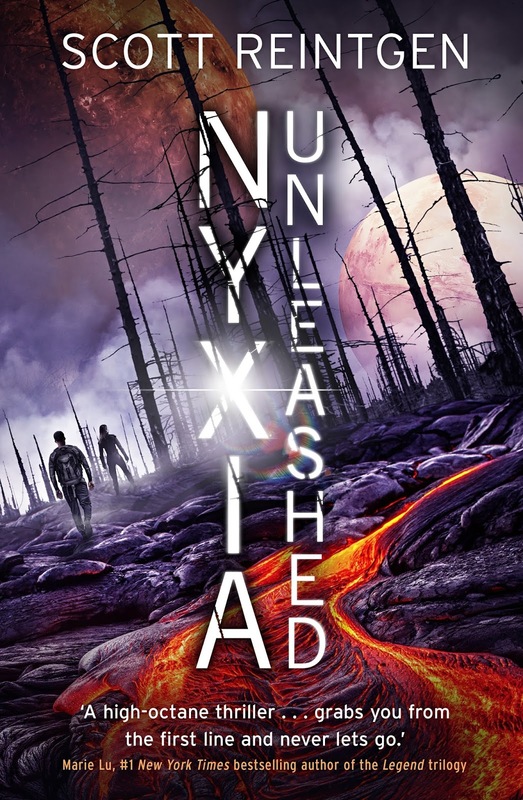 I READ Nyxia Unleashed IN ONE SITTING. I started this book just yesterday, got invested again on page 2, and LOOKED UP FOUR HOURS LATER, on page 400, HAVING TURNED THE LAST PAGE, DONE WITH THIS MARVEL AND DESPERATELY WANTING MORE. THIS BOOK WAS THE DEFINITION OF A PERFECT SEQUEL, WITH HIGH STAKES, A BRILLIANT, EVER-EVOLVING PLOT AND STELLAR WRITING. I am BLOWN AWAY by how Scott Reintgen’s ability to write and to keep changing the game and always keep me at the edge of my seat. Nyxia Unleashed was everything I hoped it would be and more, and I NEED the next book in my life. 1. The World-Building: This was SUCH a crucial element to me, because Nyxia, book one, ended with the winners of Babel’s ‘competition’ hurtling down towards a new planet. I LOVED the descriptions of the Adamites (or the Imago), the planet Eden itself, the Sevenset, the creatures (especially the Century) within and even the people and their customs. There was this particular scene in a restaurant in the Sixth Ring, with such vivid descriptions to the cuisine that I absolutely loved! It was all these small details that made me feel like I was learning about an alien planet like I was actually there and it was brilliant. 2. The Genesis: We learn later in the book that Imago call the humans the Genesis. I feel like I didn’t know enough about the crew on Genesis 12 during the last book, and I struggled to remember the names of the ten kids IN the original Genesis 11 before Genesis 12, but I loved how Scott Reintgen wrote them all as complex characters, each with a different storyline and I TRULY enjoyed getting to know each of them. I absolutely ADORE Anton, Parvin, Omar, Katsu, Longwei (strangely enough) and, of course, Morning and Emmett right now. 3. Morning, the Genius Leader and Plotter: I have some SERIOUS respect for Morning. 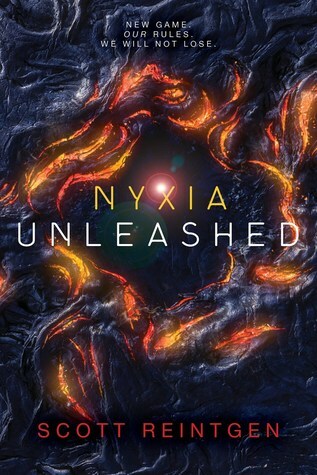 I couldn’t like her because she was (sort of) the enemy in the previous book, but I TRULY TRULY grew to love her in Nyxia Unleashed. I loved her fierce loyalty, her cunning mind and her skill. 4. 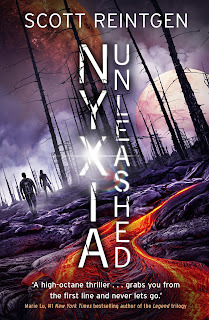 ALL THE TWISTS AND TURNS: I couldn’t attempt to predict this book and this series, even if I tried my level best. The game kept evolving, the stakes kept rising, there was so many bonds being made and broken, and so many truth coming to light that I found it IMPOSSIBLE to tear myself away from it all. It was truly a riveting read. 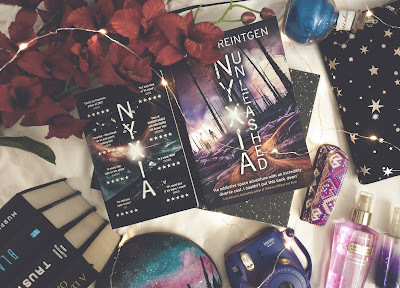 At the end of my review of Nyxia, I distinctly remember calling Scott Reintgen an ‘evil genius.’ After finishing Nyxia Unleashed, I’ll amend that statement and just call him a genius because THIS BOOK AND THIS SERIES AND THESE CHARACTERS AND ALL THEY GO THROUGH, FIGHTING BETWEEN TWO POWERFUL FORCES, AND THE STAKES AND THE PLANS AND THE PLOT TWISTS ARE JUST SO PERFECT, AND MIND BOGGLING THAT I’M IN AWE. Basically, I’m obsessed. I will now return to by bookworm shell until book three is in my hands. Goodbye. Scott Reintgen grew up in North Carolina, and took full advantage of the fact that he lived on the same street as fourteen of his cousins. It could be a little crowded, but he threw a few elbows and carved out a space for himself as the family storyteller. He enjoyed the role so much that he decided to spend most of college and graduate school investing in the world of literature. This led to a career teaching English and Creative Writing in the great state of North Carolina, where he currently lives with his wife and family. To his great delight, the demand for stories and storytellers is alive and well. 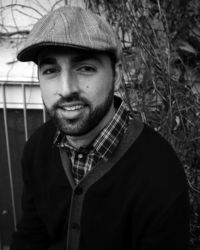 As such, he can often be found at local coffee shops laboring over stories that he hopes his family, and fans, will love. 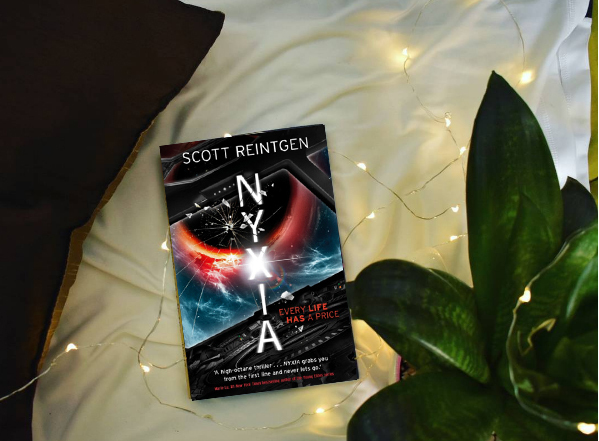 Have you read either of Scott Reintgen's books?! WHAT DO YOU THINK OF THEM? What are some of your favourite space/ sci-fi books? What books in this genre do I NEED to read?